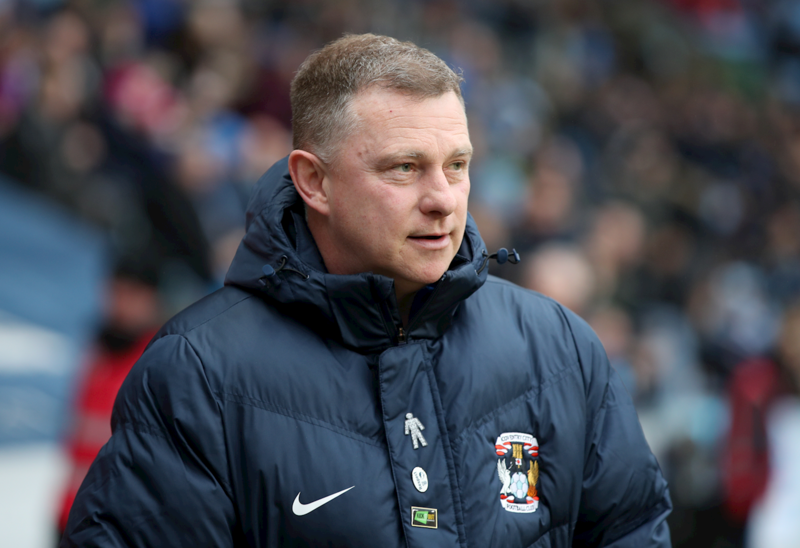 Coventry City manager Mark Robins has denied any interest in signing Hartlepool United full-back Carl Magnay, despite continuous reports linking the 29-year-old with a move to the Ricoh. In the wake of Coventry's 1-1 draw against Peterborough United, Robins was quizzed regarding the links with the defender, who has impressed in the Vanarama National League for Hartlepool this season, as the Pools sit top of the division with just a single loss to their name. Reports suggested that Coventry and Doncaster Rovers were keen on signing Magnay, with Hartlepool boss Jacob Jones conceding that he wouldn't stand in the Northern Irishman's way if he wanted to leave Victoria Park in the January window. However, Robins has denied any interest in the player, questioning the source of the reports. "There has been no interest in the player. I have absolutely no idea where these reports have come from as I have never registered an interest at all. Once again, stories are being written that aren't true." "It bemuses me how the media come up with these stories. It's almost like they draw names out of a hat and decide that they'll run a story on whatever comes out of it, claiming that various clubs are interested. I guess that's how you attract readers," he muttered. 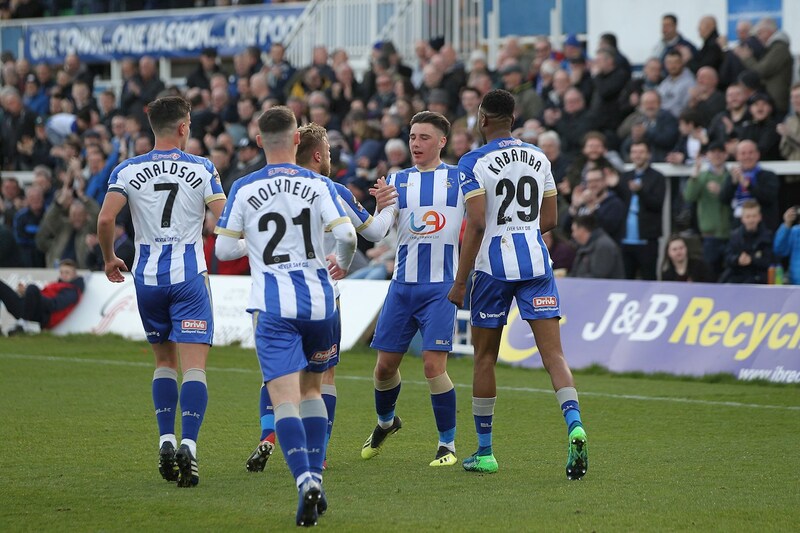 Magnay continues to shine for Hartlepool this season and was recently awarded the Man of the Match award, as United defeated Boreham Wood in the FA Cup First Round to set up a tie with Sky Bet League Two side Bury. Hartlepool boss Jacob Jones has continued to express the same message that he won't stand in Magnay's way if a move was to materialise, despite Robins claims. "Nothing changes. If a bid was to come in which we deemed acceptable, we would not stand in Carl's way." He said. Jack: I can't complain. We're in a great position at the moment and the aim is to only continue on it. Luke James has been fantastic and hopefully his form can continue. Griffin: I worried a little when that loss came. However, the players responded very well and we found our feet immediately, which champions have to do. That's what we strive to be! Certainly interesting that he hasn't chosen to unsettle the player by admitting his interest if he really wanted him. Then again, a big positive to you if he means it as you get to keep hold of a star man so far. Hartlepool boss Jacob Jones has described Conor Newton's injury a "huge blow" to their promotion push. 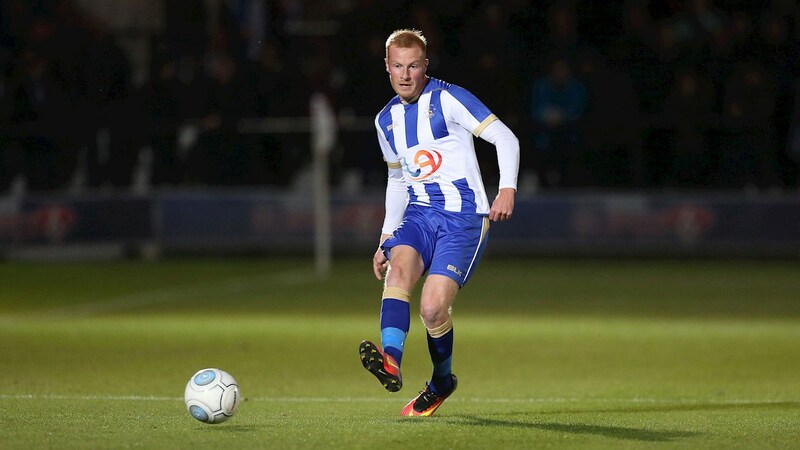 The Pools midfielder suffered a broken foot during their 4-1 victory against Barnet this weekend, in which scans revealed will rule the 27-year-old out of action for a minimum of three months. Newton has appeared 13 times already this season for the club, scoring the winner against Boreham Wood to book United's place in the FA Cup Second Round. They were paired with Sky Bet League Two outfit Bury and will travel to Gigg Lane on Saturday 1st December. Jones said, "Conor's injury is a serious one and we wish him the best of luck in his recovery. He has been an important player in our side this season and his absence will certainly be felt. It is a huge blow for us, as we look to continue our strong start and push on towards promotion." However, Nicky Featherstone looks set to return to action following his spell on the sidelines. The 30-year-old fractured his lower leg in training back in August and could be in line to feature in Hartlepool's trip to Dover Athletic on Saturday. "Nicky has been training with the side in the last week or so and looks to be ready," Jones stated. "We don't want to rush him back though and so it's unlikely he will start the game - but he could be given a few minutes to help get his match fitness back to where we want it to be." There are no further injury worries going into the weekend's clash with Dover, with number two 'keeper Ryan Catterick set to return to the bench after recovering from an illness. Jack: Thankfully his performances have continued in a positive trend, despite interest from elsewhere. Keeping players like Magnay will be a real boost in our aim to secure promotion. I've used Newton on FM this year and I know how bad of a loss this is for such an extended period. Real bad luck here. Clearly not as successful as his ancestor, Isaac. November proved to be a stop-start month for Hartlepool, as they also began their FA Cup campaign against Boreham Wood. The month began with just a second defeat of the season for the Pools. Jacob Jones' side had no answer for a Bromley side which looked lively and dangerous throughout and snatched all three points, thanks to an own goal from 'keeper Scott Loach. Joe Quigley's header from a Frankie Sutherland cross hit the cross-bar, before rebounding off the helpless shot-stopper. A 1-0 victory in the FA Cup Fourth Qualifying Round was the ideal way to respond to a disappointing loss. 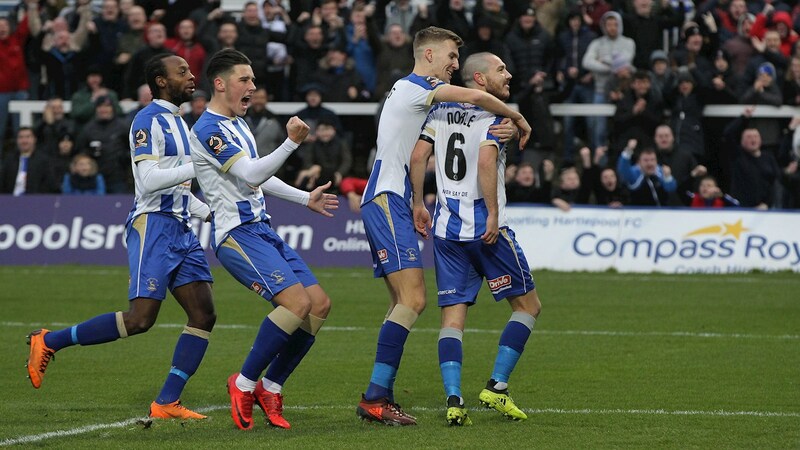 Hartlepool simply outclassed their hosts Boreham Wood for the entirety of the game and deservedly got their goal late on, thanks to Conor Newton. Their reward was a trip to Gigg Lane to face Bury in the First Round proper. Returning to league action, attentions turned to Barnet. The Bees were no match for a rampant United side, who were 3-0 up before the break. Ryan Donaldson opened the scoring after seven minutes, before Luke James and Luke Williams further added to it. Williams marked his first start with a goal after returning from a torn hamstring injury. Byron Harrison would add to his impressive tally for the season, for the visitors. His goal in the 64th minute would mark his 15th for the campaign. Luke James would round off the scoring, however, with a strike three minutes from time. His second of the afternoon capping off an excellent afternoon for the hosts, as they raced out 4-1 victors at Victoria Park. The 656 mile-round trip followed for Hartlepool, as they travelled to Dover. 135 supporters braved the long trip from the North-East, as they saw their side succumb to their second loss of the month, in a 1-0 defeat at the Crabble Ground. Jamie Allen's goal proved to be decisive, as the visitors were unable to make use of their pressure throughout the game. Mitch Walker, in his seventh season for the Whites, was in excellent form, as Dover claimed all three points to push closer to Wrexham in the final play-off position. Leyton Orient's 4-1 loss against Wrexham meant that Hartlepool maintained a six point gap between themselves and the O's, with the second-placed side having a game in hand. Jacob Jones has praised his side for responding well to their rare defeats this campaign. They responded well once again, as United played hosts to a strong Fylde side, featuring the clinical Danny Rowe. Rowe was kept at bay by Scott Loach, as Hartlepool claimed a 2-0 victory against the Coasters. The 30-year-old has the highest number of clean-sheets in the division thus far, with twelve to his name already from 22 appearances. Lewis Hawkins and Luke Molyneux both scored for United, with the latter scoring his ninth of the season, already. Goalkeeper Scott Loach captures the November award for Player of the Month, after he claimed his twelfth clean-sheet in the league in the 2-0 win over AFC Fylde. He has remained ever-present inbetween the sticks this season and has played a key role in allowing the Pools to concede the fewest goals in the National League, at just 13. "Scott is the ultimate professional and his impact on the team is probably not as recognised as it should be. To boast of the record he has to his name at the moment is remarkable. It's not often you see such figures at this level of football. It's a testament to his ability." "His experience is vital to this side. 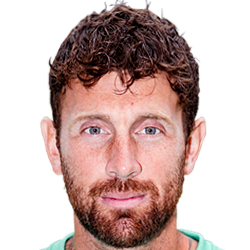 He has a role in which he executes perfectly, in helping the young players progress, in particular Ryan [Catterick] and Adam [Siviter]. The award is very much deserved and I have no doubt in my mind that he will continue to display his abilities to the fullest." Jack: He's a fantastic player. His absence will definitely be felt. Hartlepool United stunned Bury at Gigg Lane to pull off one of the biggest surprise stories in the entire round, as they won 4-0 to book their place in the FA Cup Third Round. The National League outfit came into the game as massive underdogs, despite sitting top of the division. Their opponents, Bury, sat 16th in League Two, struggling to adapt to life in the fourth tier after relegation from League One the previous season. Despite the odds being stacked very much against his side, Jacob Jones was confident that his side could surprise the Shakers prior to the game. "The FA Cup is a magical competition, you never know what could happen on the day. It's why so many adore this competition." He said. However, not even Jones could have predicted the full-time score at Gigg Lane. His side raced into the lead after just two minutes, with Lewis Hawkins composing himself on the edge of the area to place the ball beyond goalkeeper Scott Moloney. Luke Williams was given the opportunity to double the visitors lead after ten minutes, as Michael Raynes was brought down in the area from a free-kick. His spot-kick sent the 'keeper the wrong way and the game was very much in Hartlepool's favour. With the confidence flowing throughout the Hartlepool side, Bury looked stunned and simply had no response for the free-flowing football from their opponents. It wasn't long before another goal was added to the visitors tally. Ryan Donaldson continued to pile on the misery for the home supporters after 25 minutes, as Luke James' cross met the head of the former Cambridge winger. The ball looped over the helpless Moloney, sending the travelling fans into raptures once again. Bury looked devoid of any ideas, limited to long-range efforts from outside the area that never troubled Scott Loach's goal. Manager Ryan Lowe called his team's performance "an utter disgrace" after the full-time whistle. Luke Molyneux rounded off the afternoon in the 52nd minute, which symbolised the lack of fight in the home side. Ryan Donaldson's deep cross met the Sunderland loanee, who's powerful volley found the top right-hand corner of the goal. The visitors continued to maintain a professional approach to the remainder of the game, which allowed them to see the game out with no real threat of a goal from the League Two side. After the game, Jacob Jones praised his side for their efforts. "Everyone was terrific. I have no other words to describe what I've just seen. I'm speechless. I couldn't have asked for anything more and everyone deserves this moment. It's an incredible feeling." "I said before the game that the FA Cup is a truly magical competition. The magic of the FA Cup is a phrase that is thrown about a lot, but I feel that this results symbolises it. Many say that the cup has lost it's prestige - but I thoroughly disagree." Ryan Lowe congratulated Hartlepool on the result, noting that the Pools "totally deserved the win." "We were outclassed today." He said. "Hartlepool had more quality, more fight and more passion. That's what the difference was today. The performance from us was utterly shambolic." Hartlepool are yet to find out who they will face in the Third Round. The draw is due to be presented on Monday, where the National League side could be drawn with Premier League sides like Manchester City, Liverpool and Manchester United. Hartlepool midfielder Ryan Donaldson admitted he would "love to play against one of the big boys". "We'll all be watching the draw was interest. One of the lads will probably organise a get together, so we can all find out who we get. It would be amazing if we drew one of the bigger clubs. I'd love to play one of the big boys - someone like [Manchester] United or Liverpool." Wow, not only beating a higher tier side but absolutely rinsing them in the process. Amazing work! 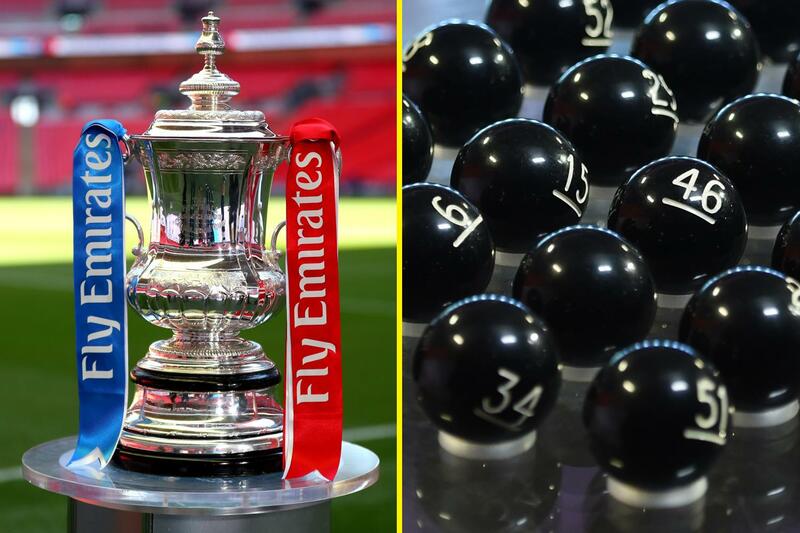 Hartlepool United have been drawn with Premier League giants Arsenal in the FA Cup Third Round. The Vanarama National League outfit will travel to the Emirates Stadium on Saturday 5th January 2019 to take on Unai Emery's side. Hartlepool booked their place in the third round following victories against Workington and Boreham Wood, prior to a 4-0 demolition of Sky Bet League Two side Bury in the second round at Gigg Lane. Jacob Jones' side currently sit top of the National League, five points clear of nearest rivals Chesterfield with a game in hand. They have lost just three of their 22 league fixtures, winning sixteen so far this campaign in what has been an incredibly strong start to the season for the Poolies. A large away following is expected from the North-East based side, as they take on the three-time Premier League champions. It is unknown, as of yet however, how many tickets the visitors will be allocated. Under a new regime at the Emirates, following the departure of Arsene Wenger in the summer, the Gunners currently occupy fourth-place in the Premier League. Hartlepool manager Jacob Jones was thrilled with the result of the draw. "It's an exciting prospect for us. It's not everyday you're given the opportunity to take on one of the biggest clubs in not just England, but in Europe." He explained. "We were hoping for a dream tie and that's exactly what we've got. We cannot complain at all. The fixture will give the fans some amazing memories, whatever the result and will obviously generate a lot of revenue, also. This is very special and important for the football club." "Hopefully we can attract the TV cameras too!" Jones joked. The selected fixtures for television coverage will be revealed in the coming days. All ties are due to be played between Friday 4th January 2019 and Monday 7th January 2019, with replays commencing the following week. Griffin: It was indeed. Hopefully the Emirates is good enough in your eyes. Jack: Can't express how pleased I was. I couldn't quite believe what was going on! Arsenal? Never heard of them. Great draw for the club! Hopefully you can sneak a draw and get that massive replay back at home! I mean it's an achievement in itself to get this far with Hartlepool, but your reward is the amount of shared gate receipts you will receive with even a half-full Emirates. Huge financial coup for the club is the away draw in London.